The new OnePlus5T is now available in India for purchase exclusively via Amazon India website only for Prime members only. The OnePlus 5T Price starts at Rs. 32,000. It will finally be available for general public sale on November 28. The OnePlus 5T can also be purchased through OnePlusStore.in and OnePlus Experience Store online. The new OnePlus 5T comes with the new bezel-less design, larger display with 18:9 aspect ratio, and improved cameras. The OnePlus 5T price in India starts at Rs. 32,999 for the 6GB RAM/ 64GB inbuilt storage variant and goes up to Rs. 37,999 for the 8GB RAM/ 128GB inbuilt storage variant. It will only be available in a Midnight Black color variant. 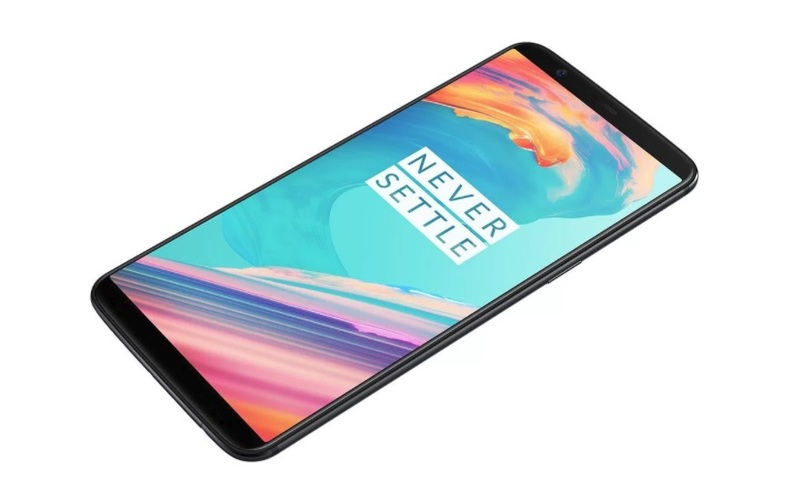 The OnePlus 5T comes with dual-SIM (Nano) support and it runs OxygenOS 4.7 based on Android 7.1.1 Nougat, There are some new cool features included in the OxygenOS 4.7 such as new Face Unlock – which works based on advanced facial recognition algorithms that use over 100 facial features identity points to “securely unlock” the smartphone in 0.4 seconds. According to the company Face Unlock will not work as an authentication method on sensitive apps, like payment apps. Users can also take the selfie by long-pressing the fingerprint sensor, and swipe the fingerprint sensor to bring up the notification shade. These features were missing in the OnePlus 5. It sports a 6.01-inch full-HD+ (2160×1080 pixels) AMOLED display with an 18:9 aspect ratio, 401ppi pixel density, and 2.5D Corning Gorilla Glass 5 protection. The display also supports sRGB and DCI-P3 color gamuts. OnePlus 5T is powered by an octa-core Snapdragon 835 SoC, clocked at up to 2.45GHz, paired with either 6GB or 8GB of LPDDR4X RAM. As for the cameras on the OnePlus 5T – The primary sensor remains identical to the OnePlus 5 and includes a 16-megapixel Sony IMX398 sensor with an aperture of f/1.7. However, it appears to have an upgraded focal length of 27.22mm. The secondary camera on the back has got a minor upgrade on the sensor which now includes a 20-megapixel Sony IMX376K sensor rather than the 20-megapixel Sony IMX350 sensor used on the OnePlus 5. The front camera on the OnePlus 5T hasn’t got any change. It sports the same 16-megapixel camera with Sony IMX371 sensor with an aperture of f/2.0. The front camera can record 1080p videos at 30fps. The OnePlus 5T packs a 3300mAh non-removable battery, same capacity as the OnePlus 5, and supports the company’s Dash Charge (5V, 4A) fast charging technology.